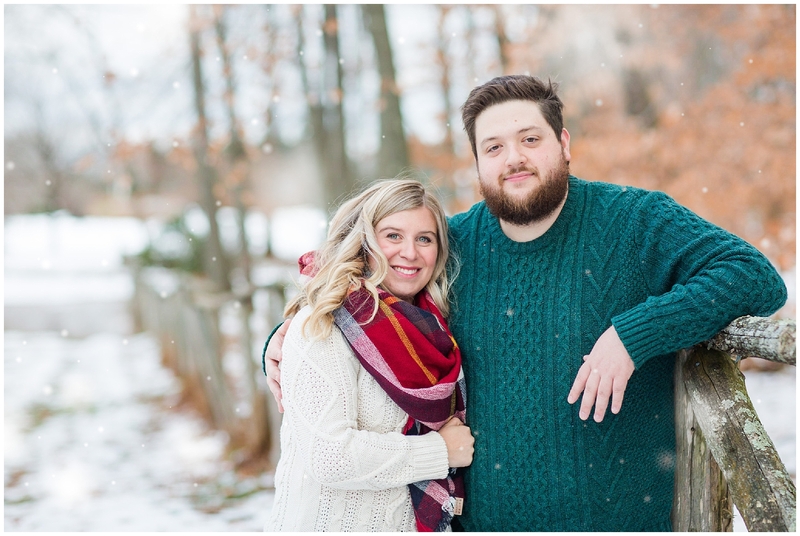 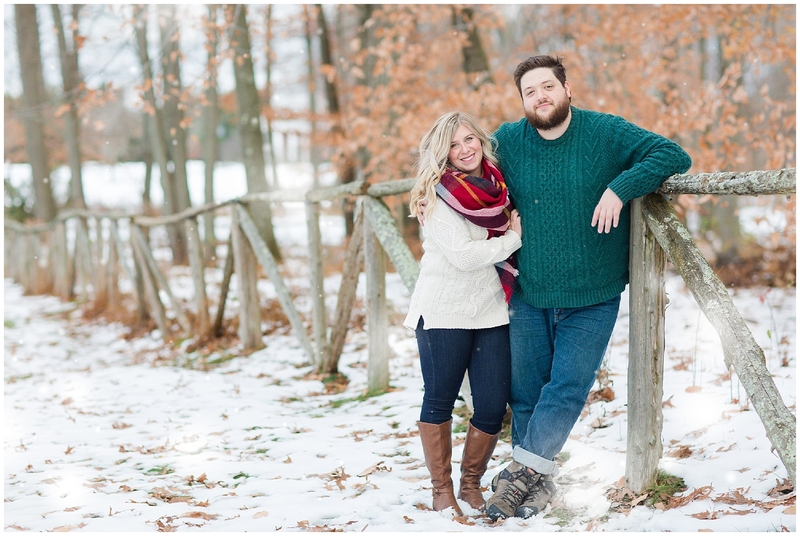 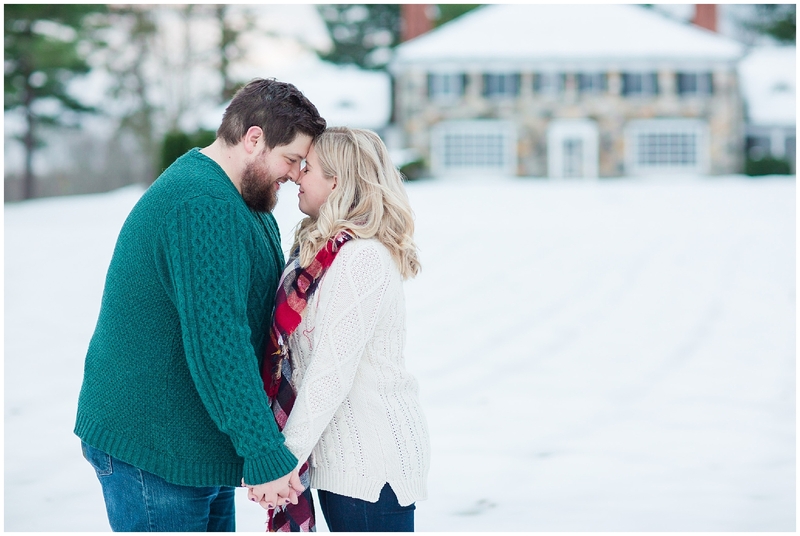 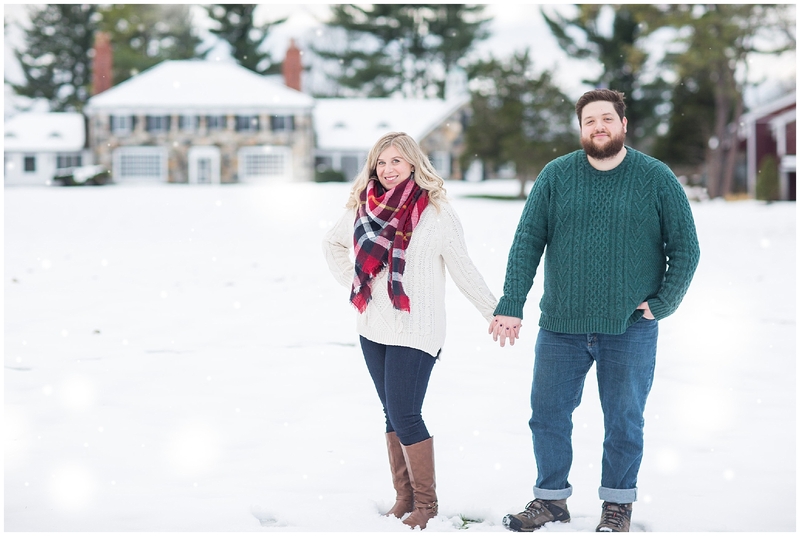 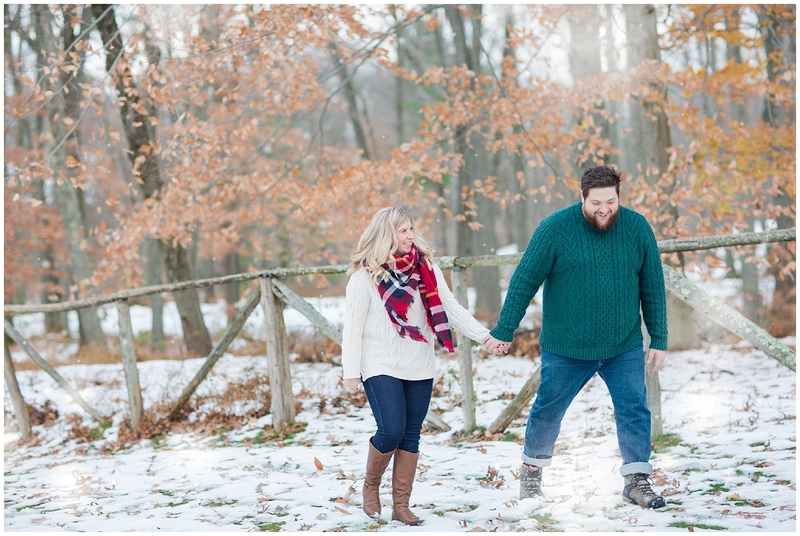 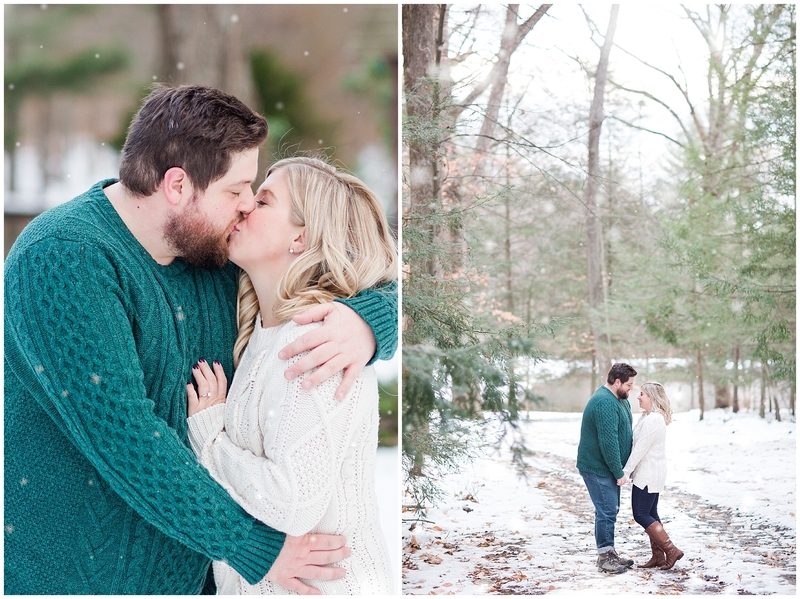 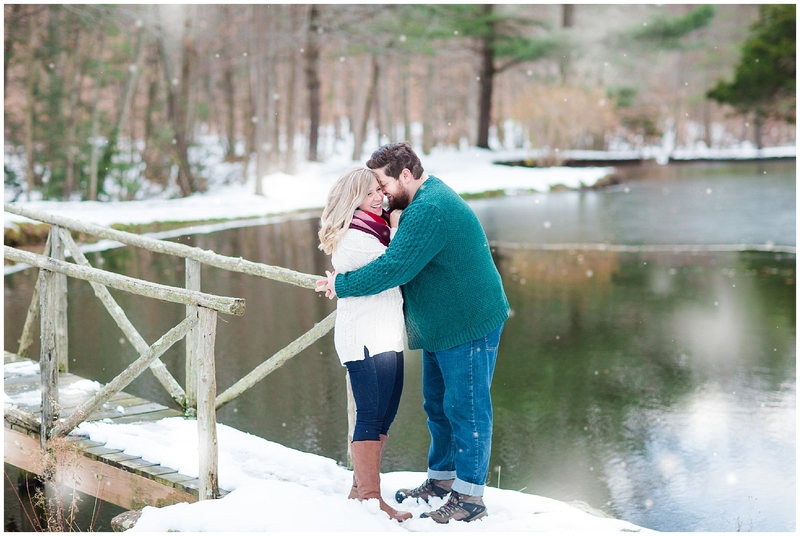 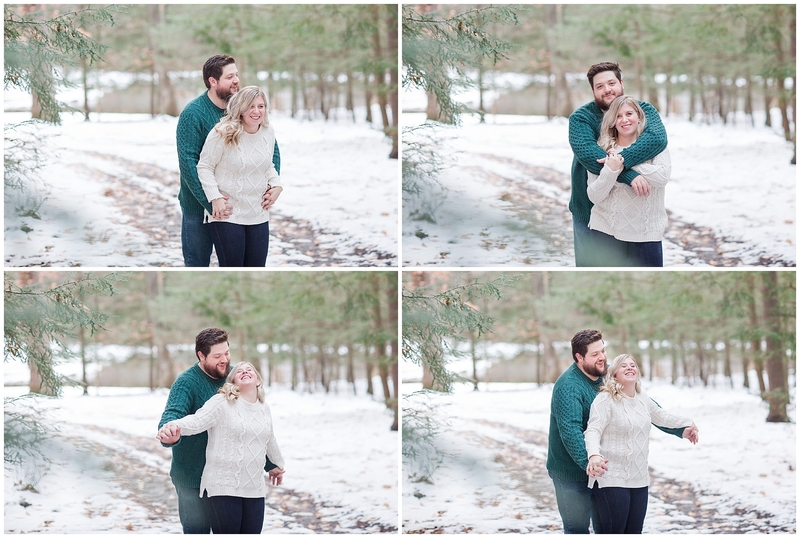 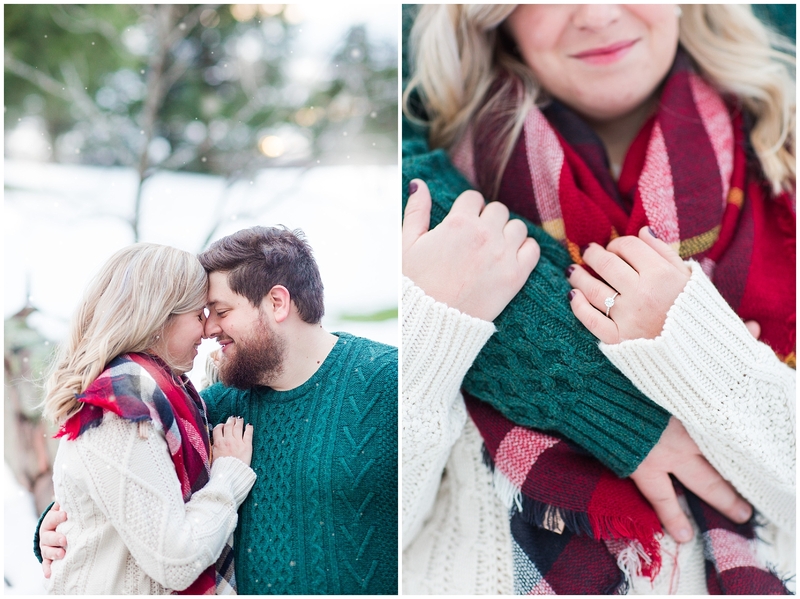 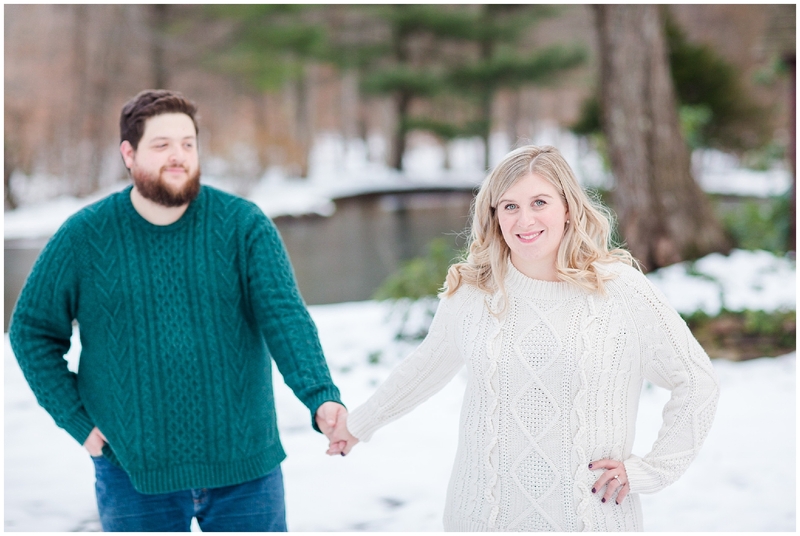 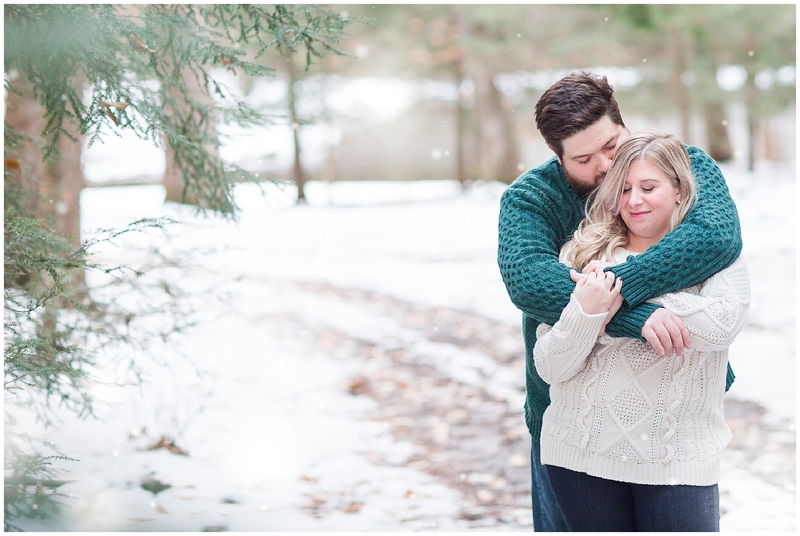 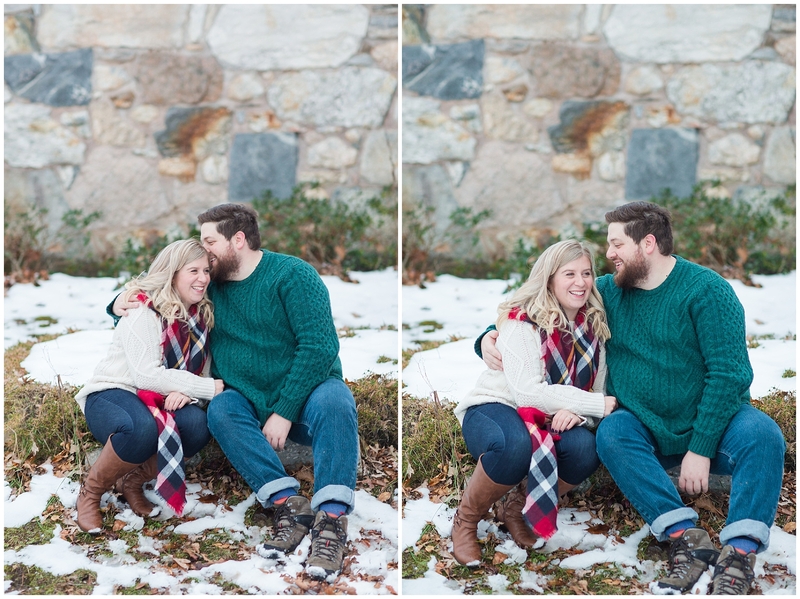 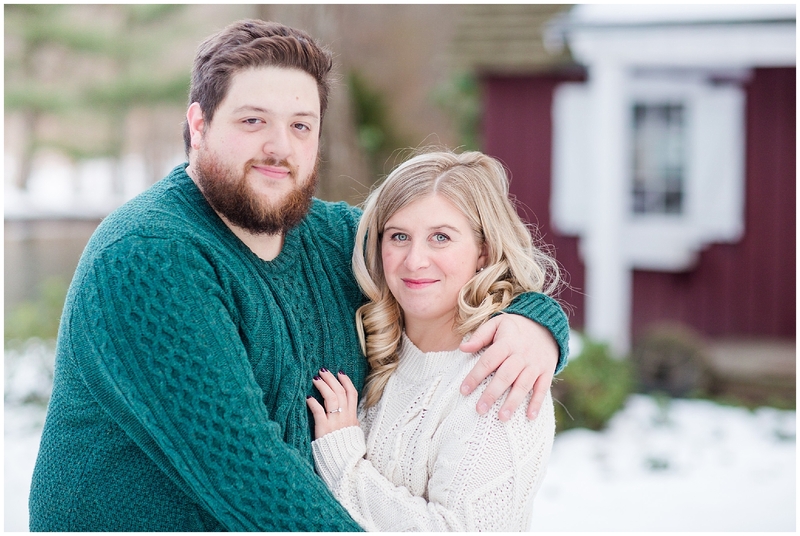 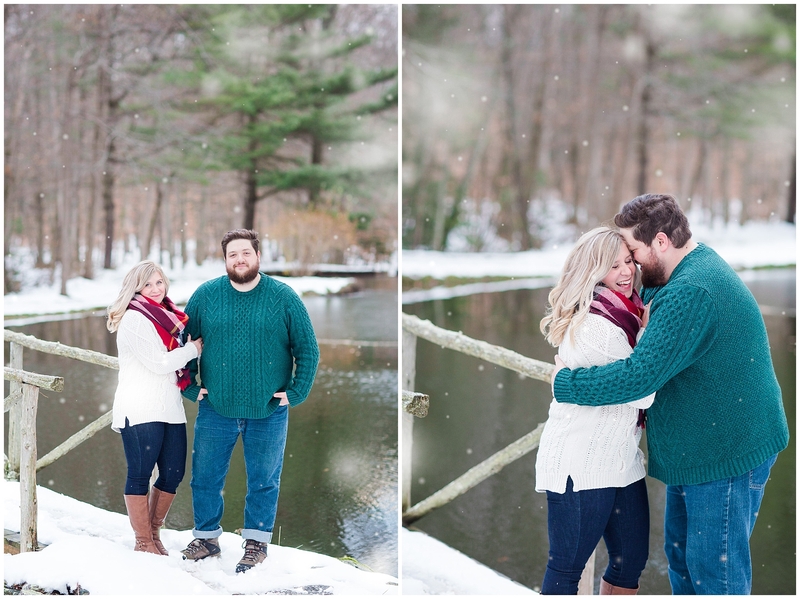 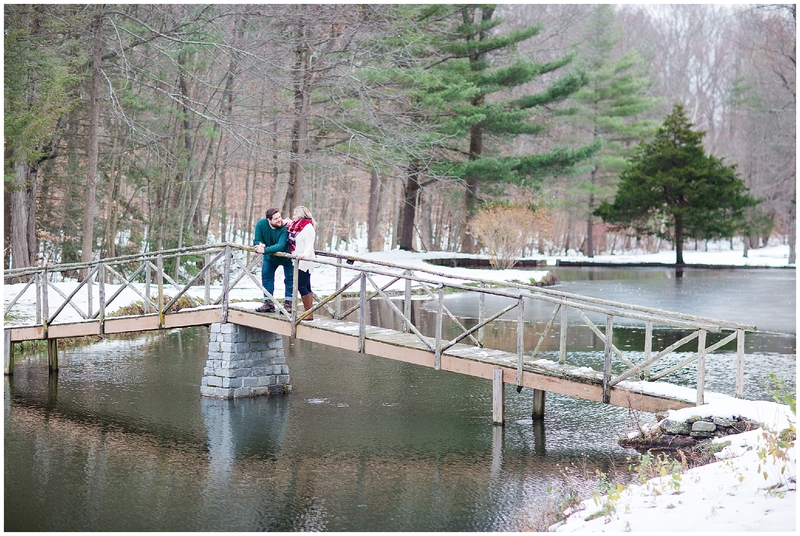 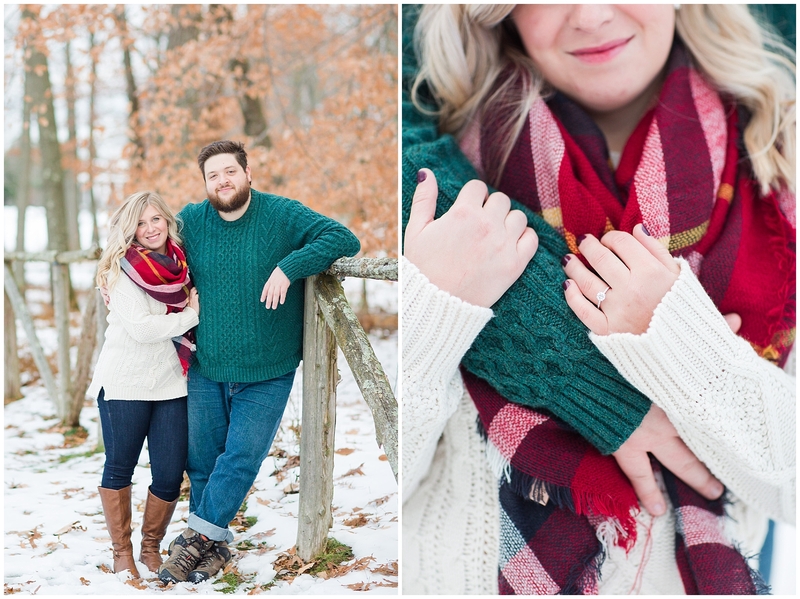 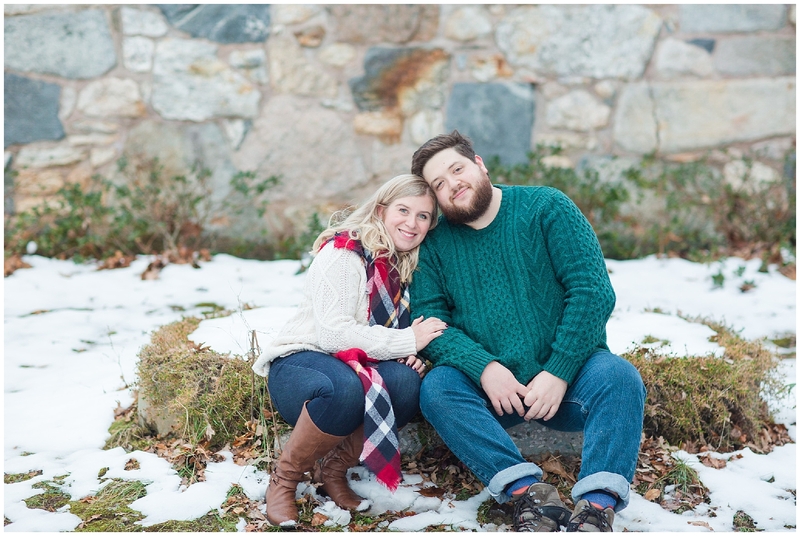 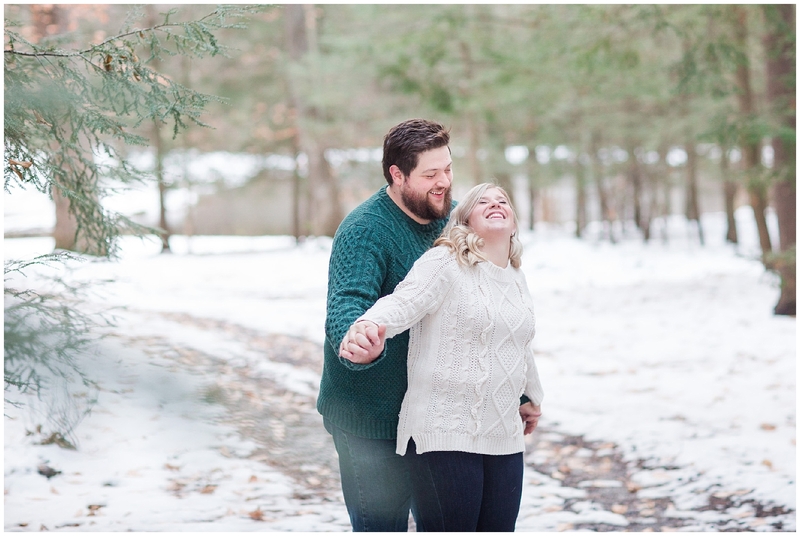 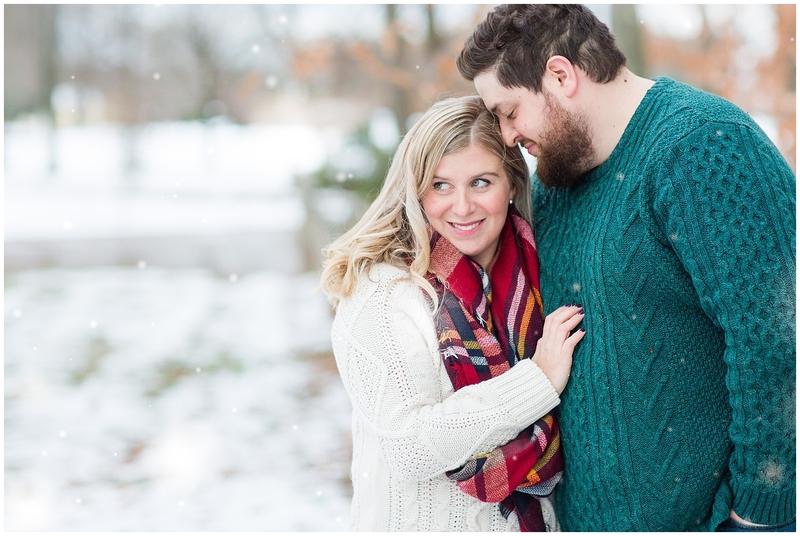 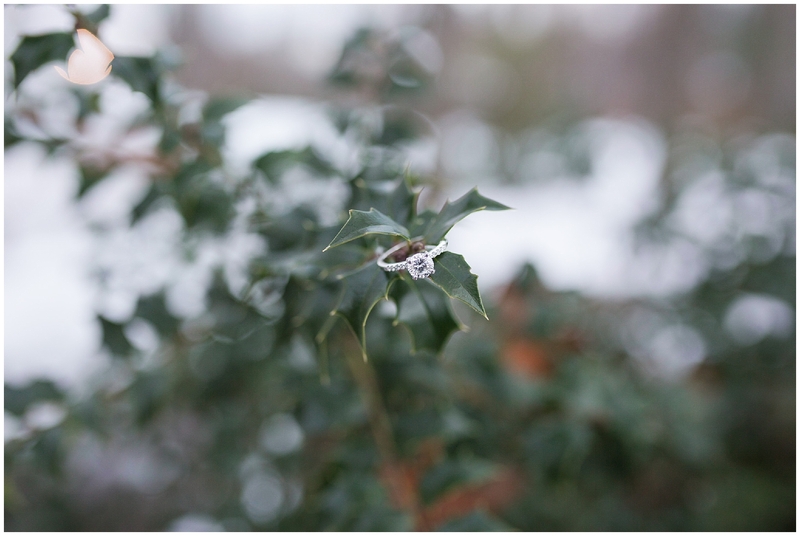 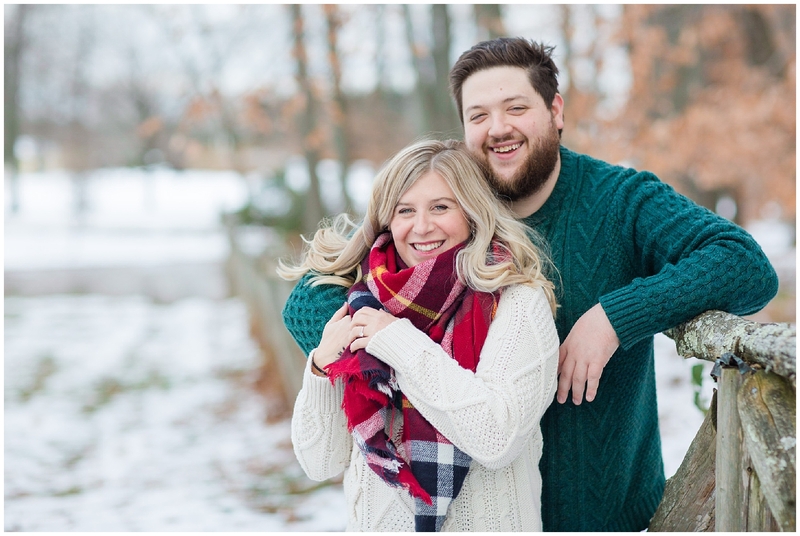 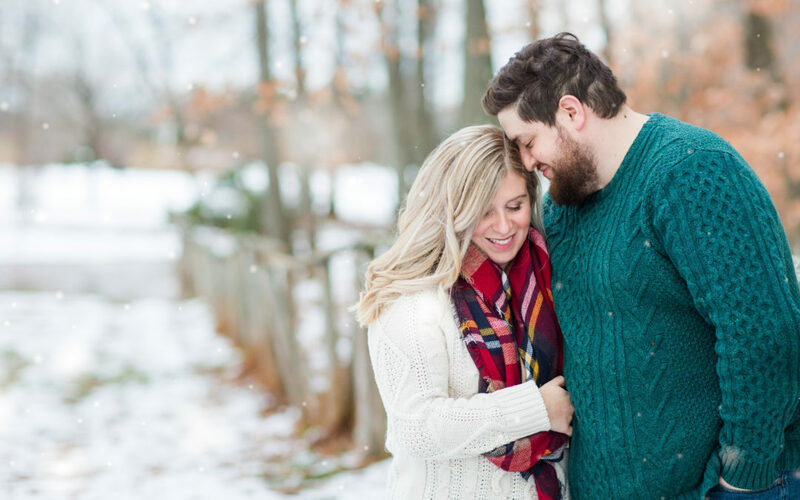 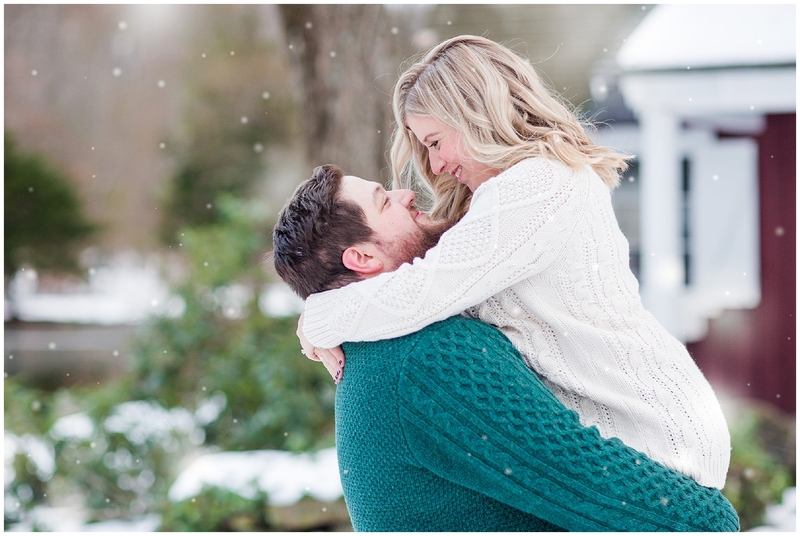 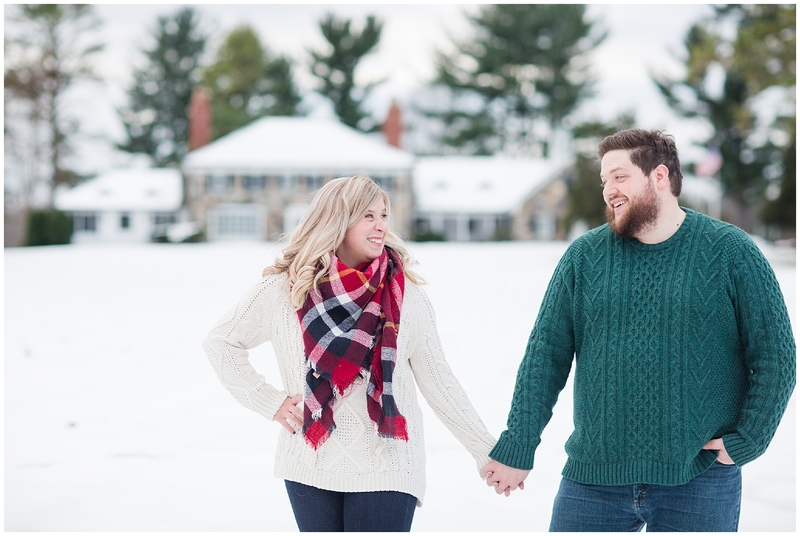 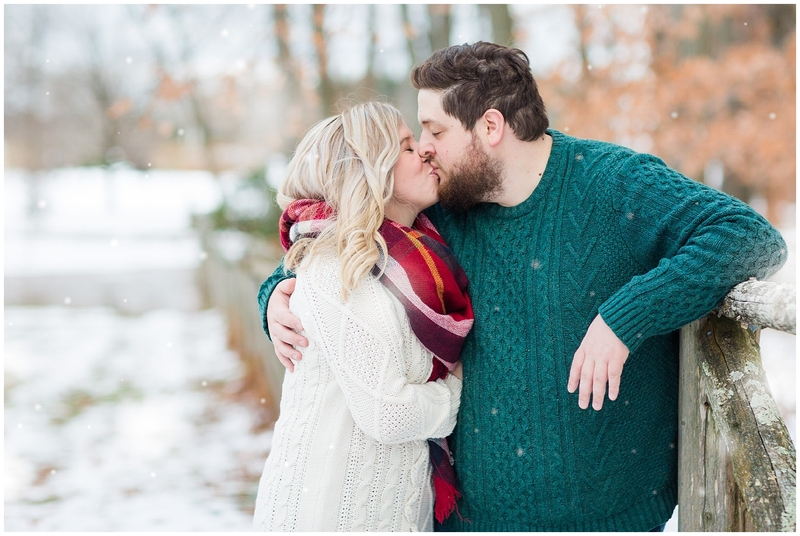 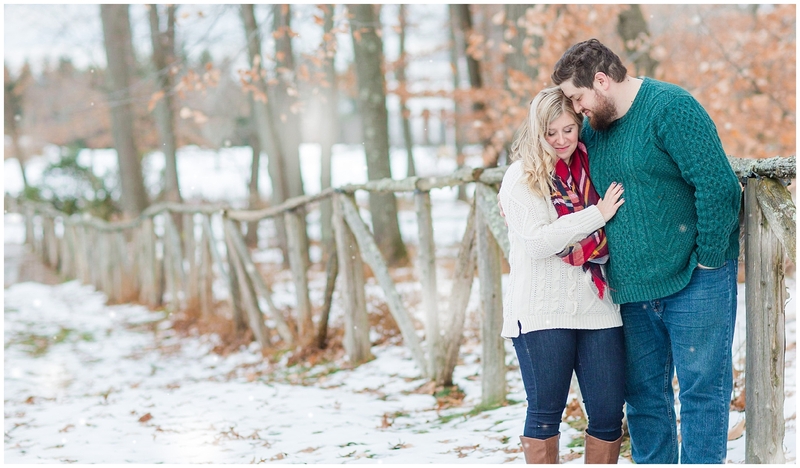 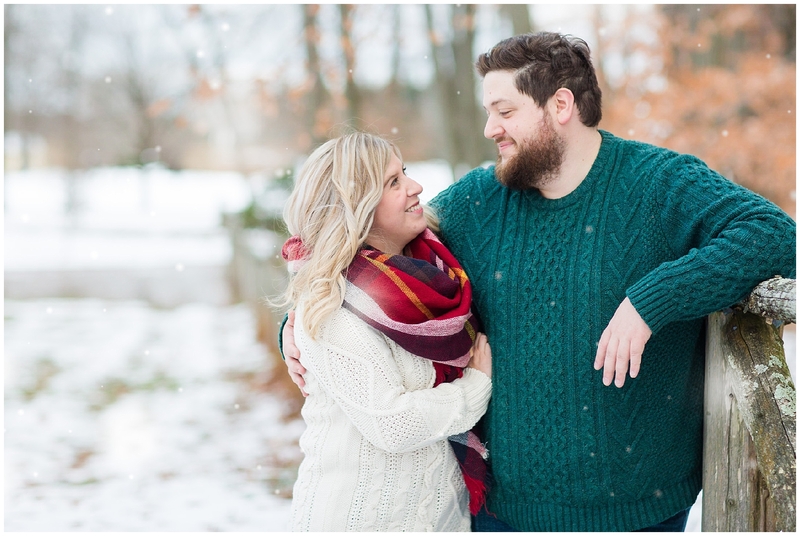 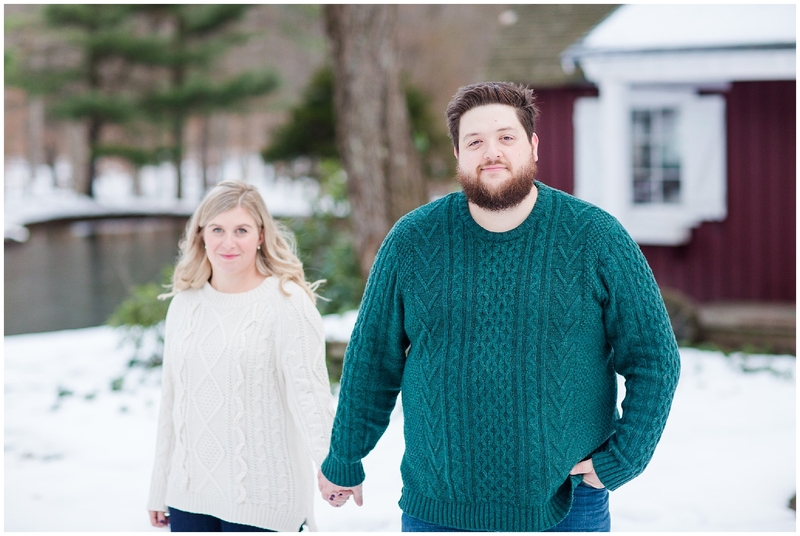 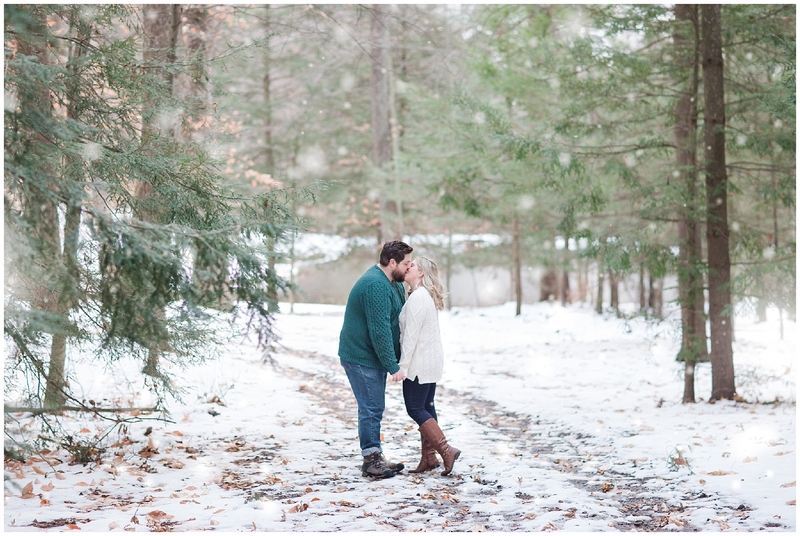 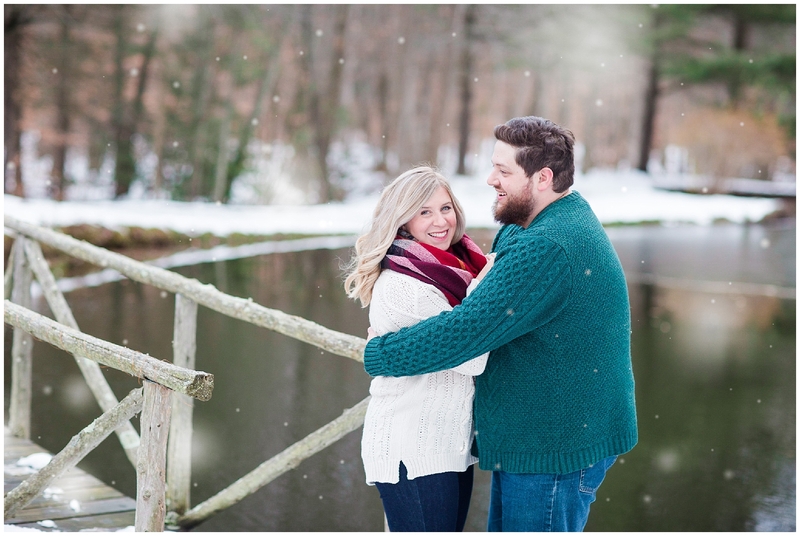 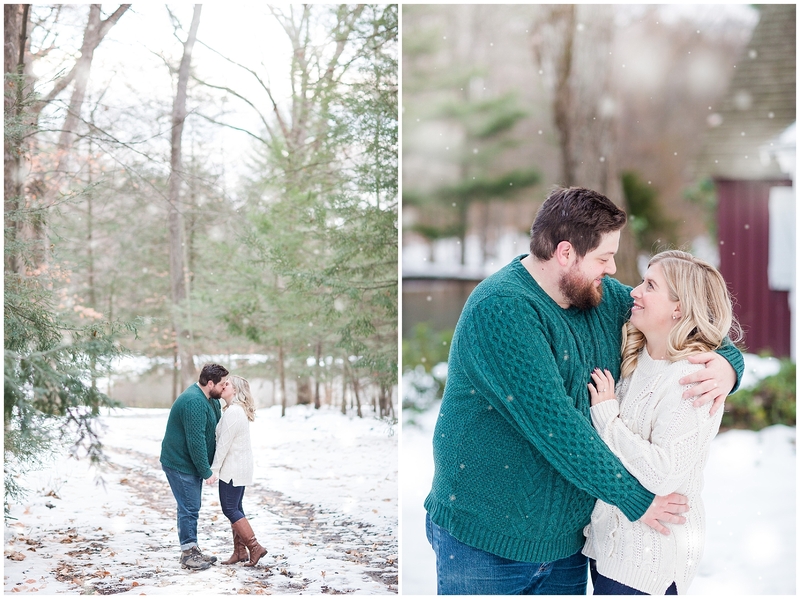 I just have to start off by saying I am obsessed with Molly + Drew’s winter engagement session!! 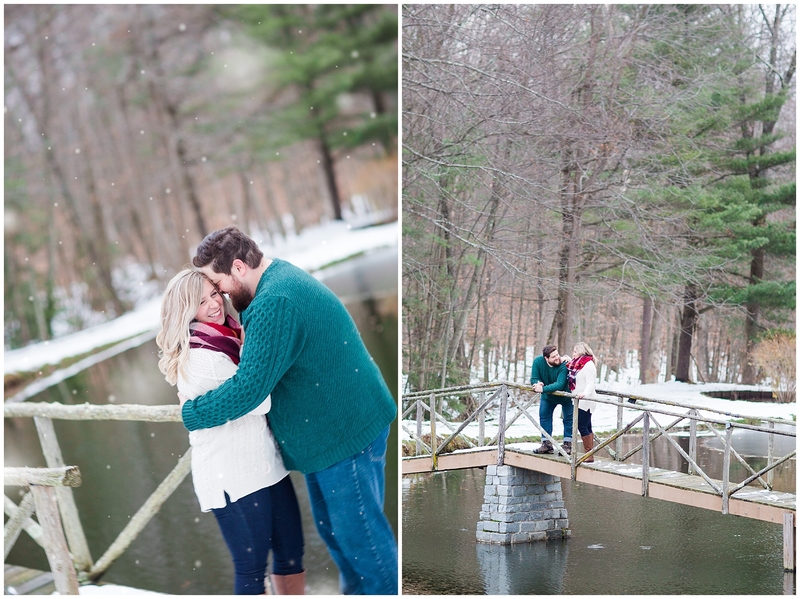 The scenery was gorgeous and the light snow gave us the PERFECT backdrop! 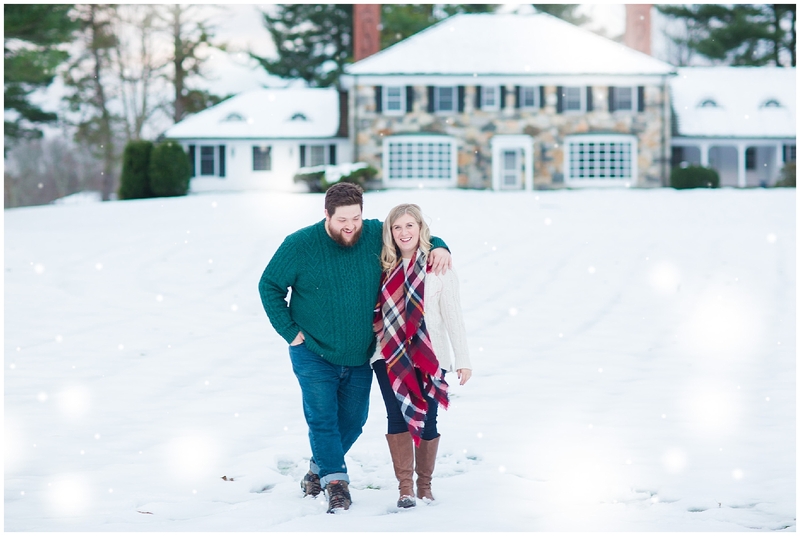 Even though I have lived in New England my whole life I am not a great representation of that since I am not a fan of winter at all. 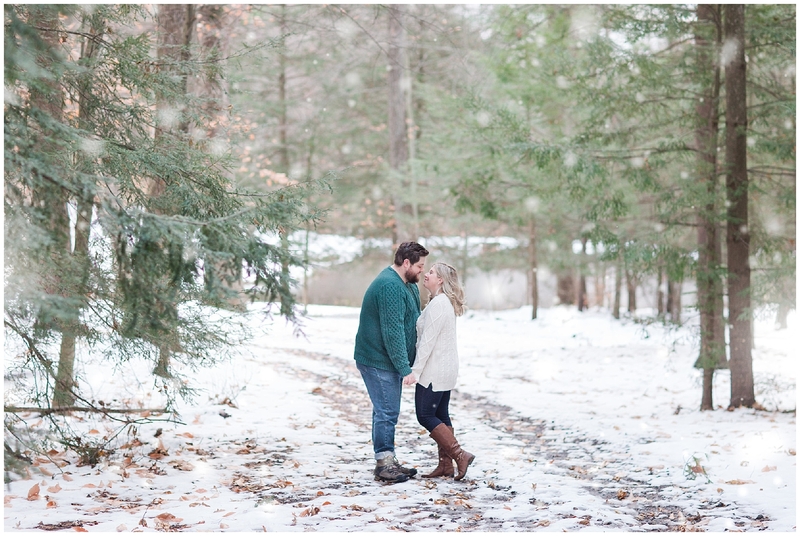 Like could literally go the rest of my life never feeling cold or having snow again and be more then content. 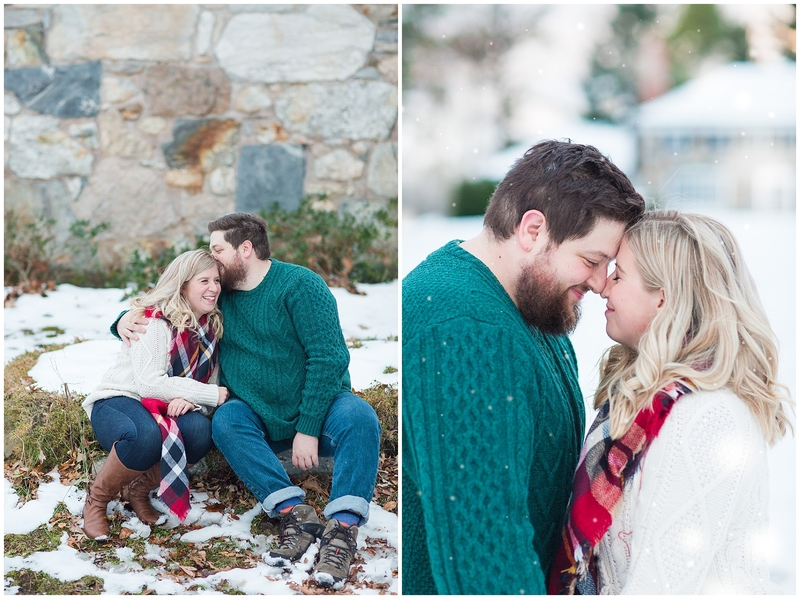 But the one time I am happy to have snow is for sessions like this or on Christmas day! 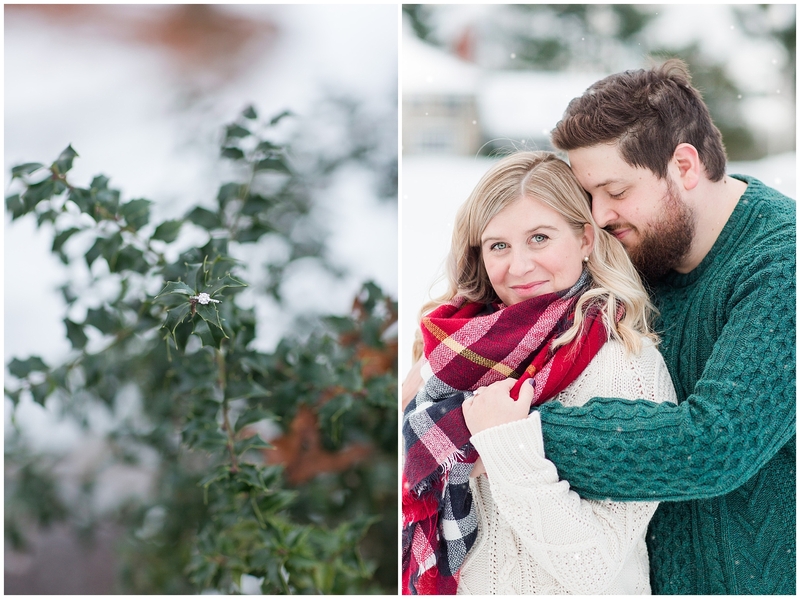 And thankfully it was not a windy day so we were not too cold! 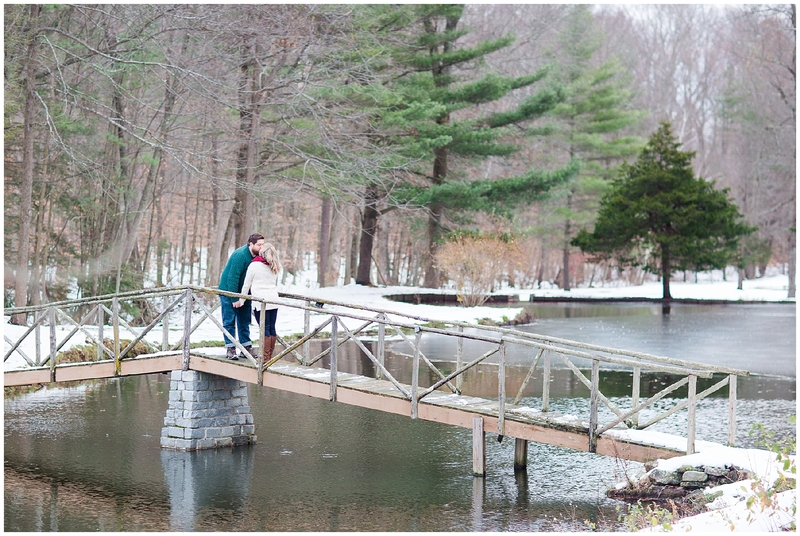 This was the first time we met Molly + Drew in person. 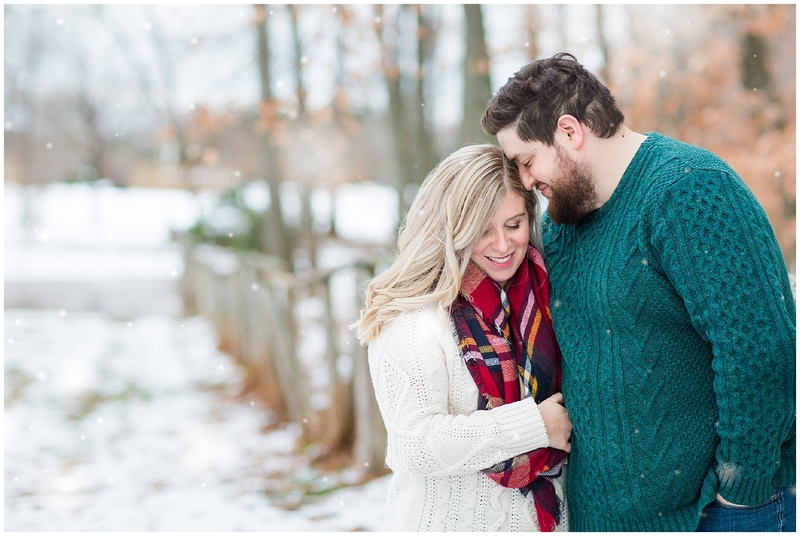 Just from talking to Molly on the phone and communicating through emails I knew they were going to be so fun to work with! 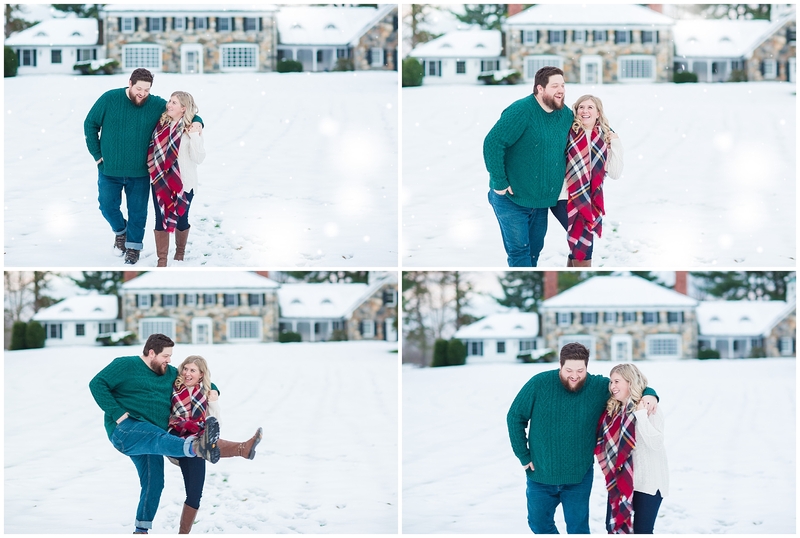 They have such fun and laid back personalities! 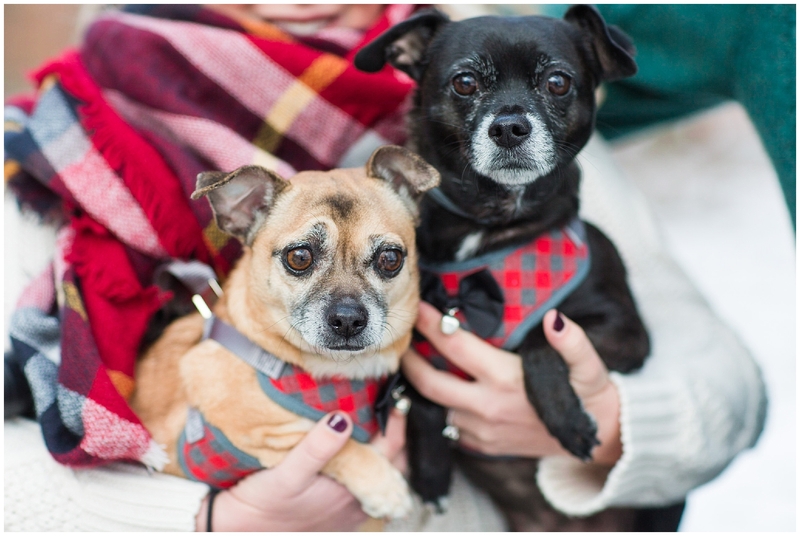 They brought along their two sweet little pups or as they say “children” (we get it, we have furbabies too!). 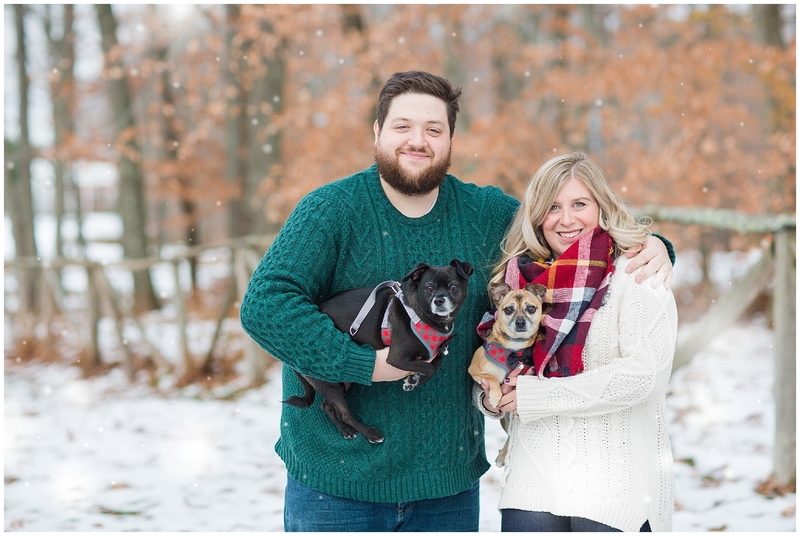 Milo and Buster did great and we had some fun shots with them! 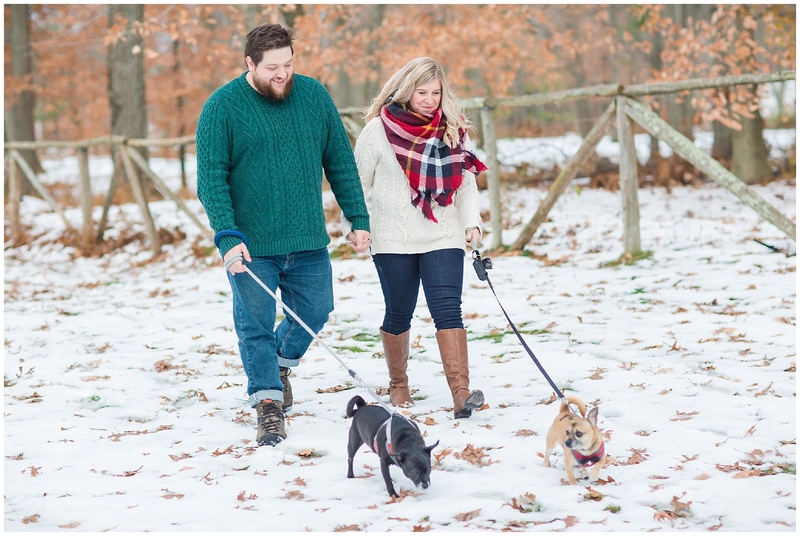 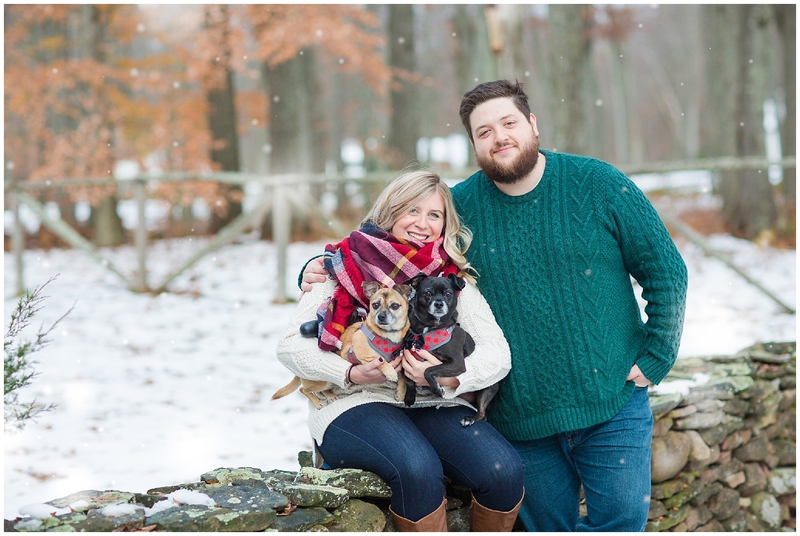 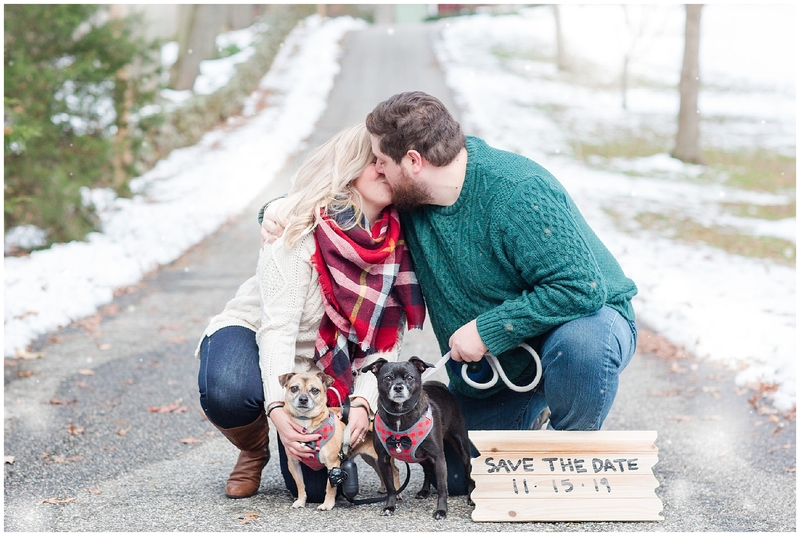 I love incorporating fur babies into our engagement sessions, I was so glad it worked out that they could bring them along!